Let’s face it. Managing Macs is not the easiest task in the world. While they are reliable, secure, and easy for end users to use, the IT management tools to manage Macs are just catching up to those on the Windows side. A critical component of this is user management. Managing identities and access to a Mac fleet has not been a simple job for IT organizations either. 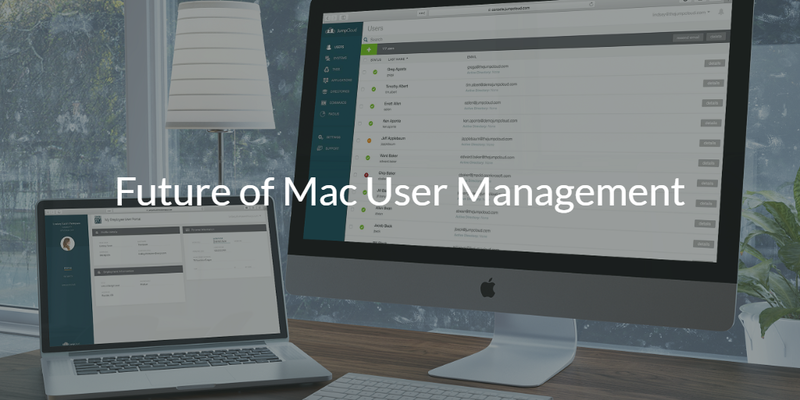 That’s why we wanted to write about the future of Mac user management as we see it. Macs & IT: Mortal Enemies? For the longest time, Macs have been islands within an IT organization. Macs were few and far between in the 1990s and early 2000s. During this time, Microsoft Windows had monopolized the IT enterprise market. The result was that Microsoft and other third parties built great management tools for Windows machines, but Macs did not get the same service. Microsoft built a user management / directory service called Active Directory® and a system management platform called SMS. Many third parties also developed management tools for Windows machines and applications. It could be said that Microsoft’s world view was a catalyst for this. As we all know, Microsoft was focused on creating an ecosystem of applications on top of the Windows platform. They had extensive and open APIs for independent software vendors (ISVs) to write applications. Apple on the other hand liked to tightly control their platform and user experience. The result was a much more difficult platform to manage and build upon. The result of this approach has extended for decades. 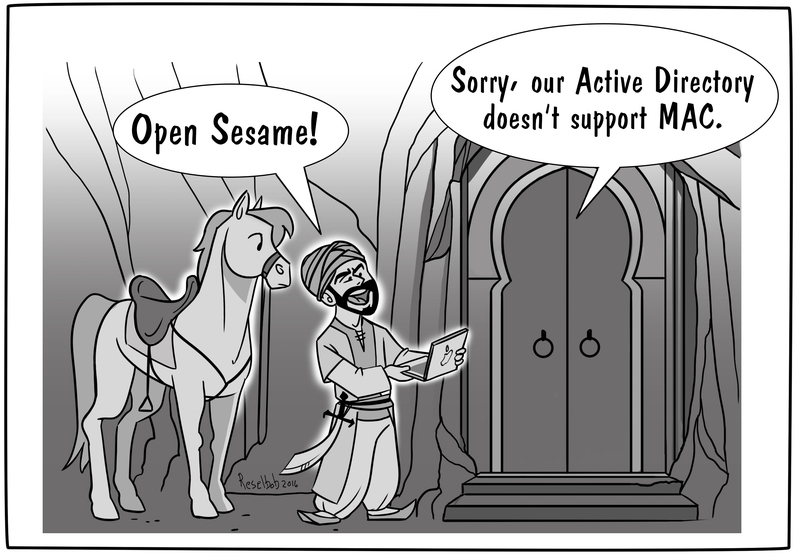 Microsoft Windows is still considered open, while Apple is still considered closed. Apple has made tremendous inroads due to their success in the market, and they have rethought their approach to applications in light of their tremendous success with their App Store. From a user management perspective, though, there has only been one game in town for almost two decades – Microsoft Active Directory®. Various third party platforms, or what we would call directory extenders, tried to integrate AD with Macs, but it was always a second rate effort and solution. Microsoft wasn’t going to encourage the use of Macs and because AD was the dominant solution, Macs needed to be managed separately. Recently, though, a new approach to Mac user management has emerged. The cloud identity management platform Directory-as-a-Service® is engaged in a battle to replace Active Directory. As a vendor neutral IAM platform, the IDaaS solution securely manages and connects users to the IT resources they need including systems (Windows, Mac, Linux), cloud and on-prem servers (e.g. AWS, Google Cloud), web and on-prem applications via LDAP and SAML, and wired and WiFi networks via RADIUS. The upshot is that Macs are treated as first class citizens with the ability to manage users as well as control the device via policies and remote scripts or command. No longer do Macs need to be islands in an IT infrastructure. With Directory-as-a-Service, IT admins can enable their employees to use whatever IT resources they want, while maintaining the control and security that they need. Additionally, end users get the platforms they need to accomplish their jobs. 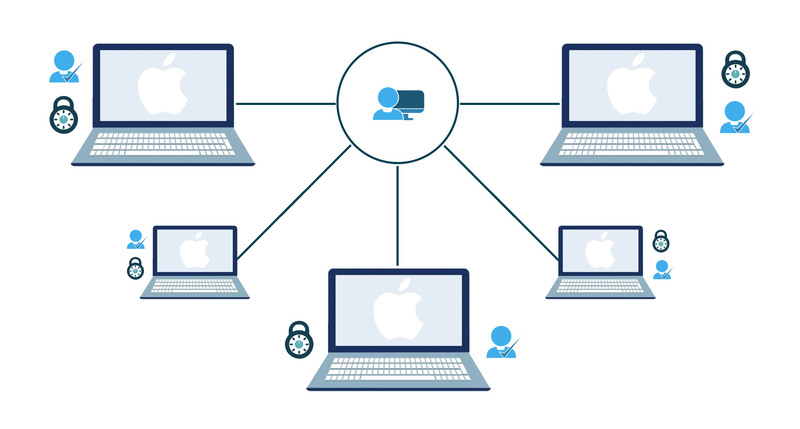 The future of Mac user management is Directory-as-a-Service. If you would like to learn more about how your organization can integrate and manage Macs as seamlessly as other platforms, drop us a note. 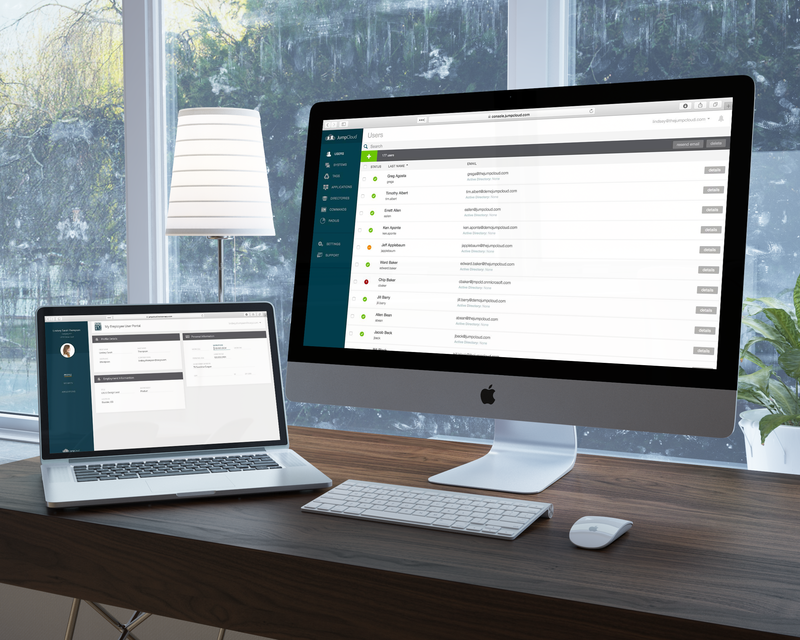 Alternatively, sign-up for a free cloud IAM account and check out our Mac management capabilities for yourself. Your first 10 users are free forever. Rajat Bhargava is co-founder and CEO of JumpCloud, the first Directory-as-a-Service (DaaS). JumpCloud securely connects and manages employees, their devices and IT applications. An MIT graduate with two decades of experience in industries including cloud, security, networking and IT, Rajat is an eight-time entrepreneur with five exits including two IPOs, three trade sales and three companies still private.